The *Beacons of Minocqua* sits on 13 acres of a spectacular lakefront wonderland. 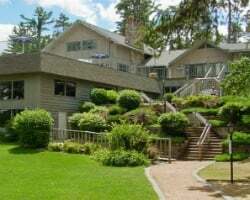 Situated on a precipice over the Minocqua chain of lakes, this resort offers year-round activities everyone can appreciate. Explore the resort's on-site nature trail, or take a dip in the indoor poor. Roast marshmallows by the lakeside firepit, or go ice skating on the resort's ice rink. The Minocqua Winter Park and The North Lakeland Discovery Center are close by and offer ski and hiking trails. Fishing and boating are only a stone's throw away. There's never a dull moment to be found here any time of year! At day's end curl up by the living room fire in your 1 or 2 bedroom luxury unit. The Beacons of Minocqua truly is a vacation resort not to be missed. For more information, visit www.the beacons.com. Peaceful and relaxing lakefront resort! Week 48 every year! Buyer may receive a title fee credit, inquire for details! Explore Wisconsin during week 21! Buyer May Receive A Title Fee Credit, Inquire For Details! 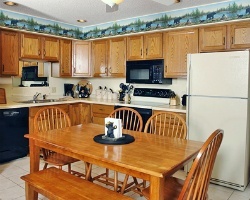 Lovely lakefront resort with many outdoor activities for all ages! Week 38! Inquire for more details! Beautiful year round resort with many indoor and outdoor activities! Buyer May Receive A Title Fee Credit, Inquire For Details!